The “ballerina bun” is a hairstyle which will never be off trend. 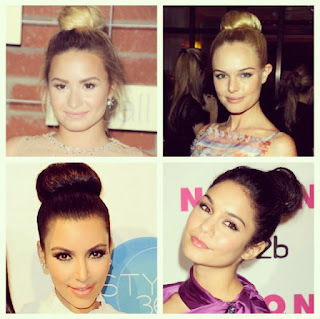 Its effortlessly chic and classic look makes it a favourite amongst celebrities such as Demi Lovato and Kate Bosworth. 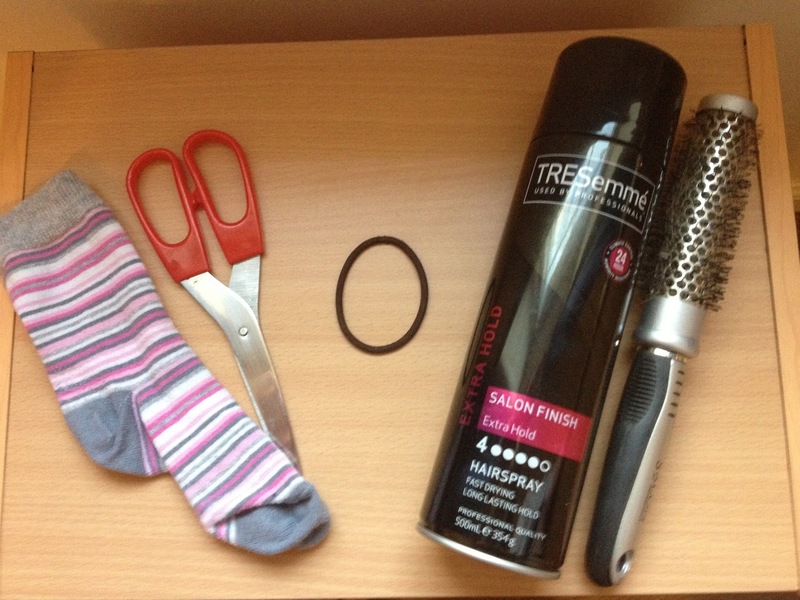 Firstly we need to begin by preparing the sock. Cut the tip off an old, (yet preferably clean!) 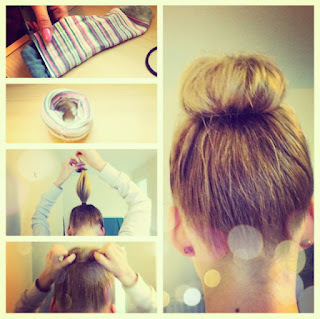 sock then begin to fold it down over on itself to create a “donut” shape. Now lets get started. Begin by tying your hair up in a pony tail. The higher the pony tail is, the higher up the bun will be positioned on your head, keep this in mind when using this technique. Ok here comes the tricky bit! 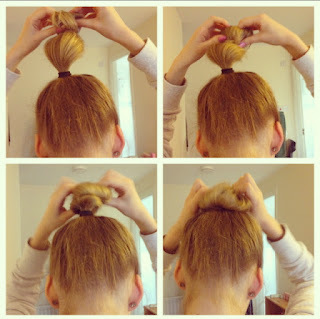 Once you master this step (it may take a few practices), you can pretty much do the suzy sock bun with your eyes closed! Its THAT simple! Start by positioning the sock over your hair bobble and then dragging it down to the ends of your hair. Tuck the ends of your hair over the outside of the sock and then start folding the sock down on itself spreading the hair round as you go. You’ll find your hair will go into the sock very easily. 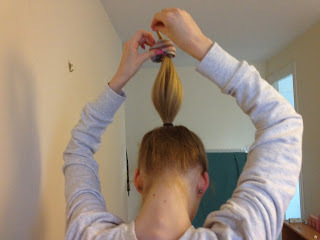 I understand this step can be very confusing so if you are having trouble, start watching this video from 4 minutes in where Loepsie (the girl that taught me that socks can be used for so much more than keeping your feet warm) will hopefully give you a clearer understanding of how to complete this step. Once your hair is securely in the bun, start rearranging and repositioning your hair to ensure the sock isn’t visible, you can also loosen up the hair if you want a more relaxed, messier look or use hair grips to pin parts of the bun down if you want a more harsh/edgy look. 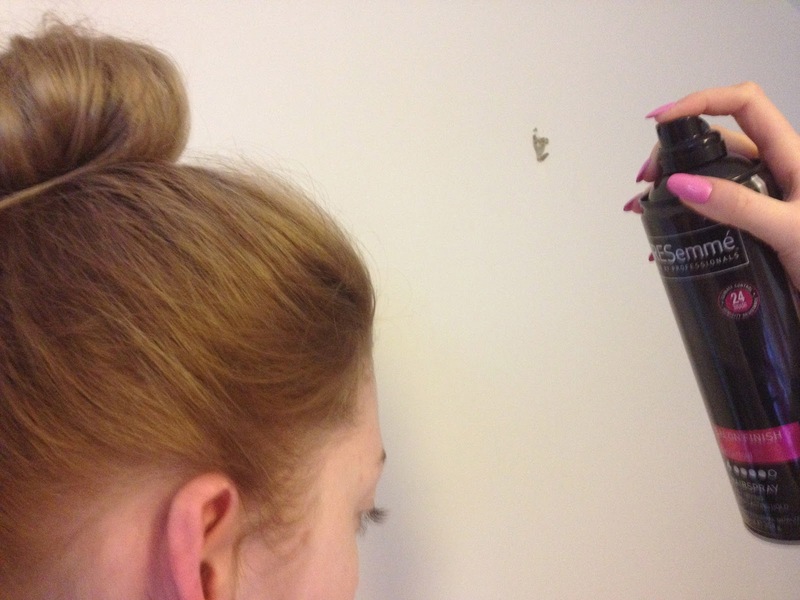 Finally, tame any fly away hairs with some hairspray and you’re all set, the sock bun is complete! 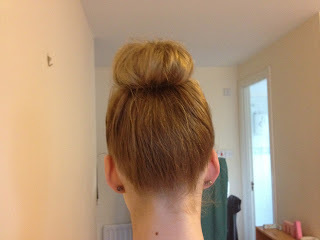 I hope this little step by guide step was helpful and if you try the suzy sock bun, let me know how you get on! OOTD/London goodies/Most adorable grandpa EVER. 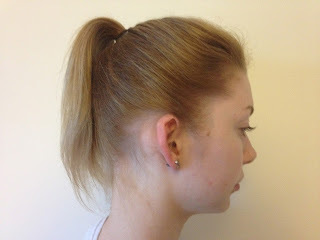 SuzyBlue welcomes you- an introduction.